Thank you for visiting my video/bio page as part of my application for the Outdoor Gear Staff Writer position currently available at CleverHiker. Here you will also find links to some of my recent gear reviews, covering some of my favorite trail-tested hiking gear and apparel. I’m looking forward to meeting with you to discuss this opportunity in more detail. ELI BOSCHETTO is an avid long-distance hiker with 1000s of trail miles under his boots. 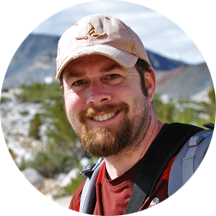 He is the author of several Mountaineers Books hiking guides, including Hiking the Pacific Crest Trail: Oregon, Urban Trails: Portland, and Day Hiking: Mount Hood(2020). He is also the founder and director of PCT: Oregon, served on the 2018 Granite Gear Grounds Keepers team, and is an ambassador for National Geographic Trails Illustrated maps. He has served as a Northwest correspondent for Backpacker, and is a former editor of Washington Trails. Eli’s favorite piece of hiking gear is his 1-pound Helinox Chair Zero.